Flat Driver Caps are iconic hats that originated in England. 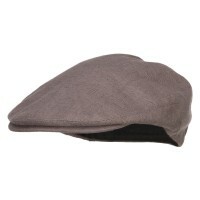 They feature a buttoned brim thus making them look casual and elegant at the same time. 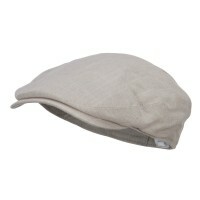 If you love Newsboy and Ivy Caps, then it reflects your versatile and practical personality. Driver flat hats come in many names. They are called Irish caps, newsboy caps, and horseman’s caps to name a few. As the name implies, driver flat hats are worn by horsemen, car drivers, and the working class especially during the late 1800s or during the industrial revolution. These hats are designed mostly for function as they provide warmth to the head and protection against the weather. Driver, Flat Hats are made from different types of materials like leather, corduroy, cotton, wool, and tweed. 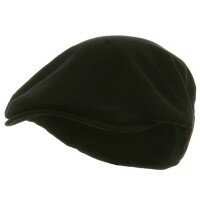 Thus, there are many styles and designs of driver flat hats that are available in the market. While driver flat caps are originally fashionable headwear for men, boys, as well as the working class, there are now designs today that are intended for the sophisticated female wearer. The simplicity and timeless appeal of the driver flat caps make them great accents for different types of wardrobe. Look very polished and sophisticated with driver and Flat Hats. They can be worn in settings that require either casual or fancy ambiance. Whether you wear them with jeans or with a cocktail jacket, you will definitely stand out from among the crowd. Today, there are many designs of Driver Flat Caps that you can try. 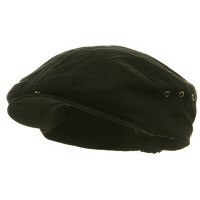 For that classic look, you can opt for the Ivy Caps that are mare from polyester mesh thereby providing extra comfort. They are available mostly in neutral colors. You can pair Ivy Caps with any clothes of your choice. If you feel bored about wearing traditional ivy caps, you can also try patterned or plaid flat caps. 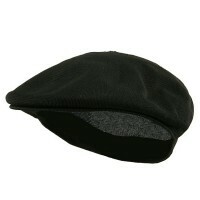 The Plaid Pub Wool Cabbie Hats is perfect for your golf outfit or to provide accent on your dull office clothes. Aside from the plaid flat caps, you can also break the monotony of plain caps by getting the Beaded Ivy Caps. This particular beaded cap appeal to many women because of the sparkle given off by the faux gems. Other designs also include knitted, tweed, crocheted and faux leather caps.